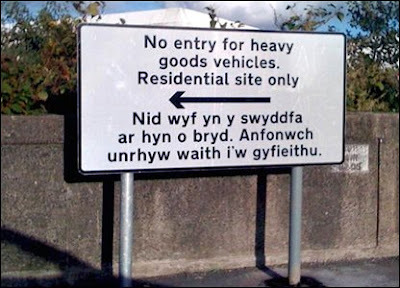 The Welsh language portion of the sign says: "I am not in the office at the moment. Please send any work to be translated." I found it on Boing Boing, originally from the BBC.